“Sticks and stones may break my bones, but words will never hurt me” is a bunch of crap. Words are extremely powerful. Words can hurt. Words can also help. Words can even inspire. Words of inspiration come from many different sources, including historical figures, authors, and coaches. Over the years I have collected numerous quotes that resonated with me in one way or another. 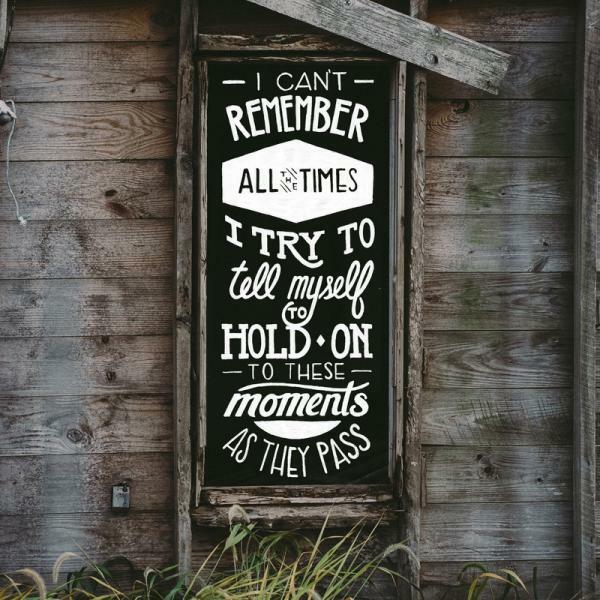 Some of the quotes are famous lines that have been used by graduating seniors in high school yearbooks for generations. Some of the quotes come from movies and television shows. Other quotes are more obscure but no less meaningful in my life. Attempting to select a top 30 list of words to live by undoubtably meant leaving some great, memorable quotes off the list. Nonetheless I feel confident that everyone will find something on this list that speaks to them in the same way it speaks to me. 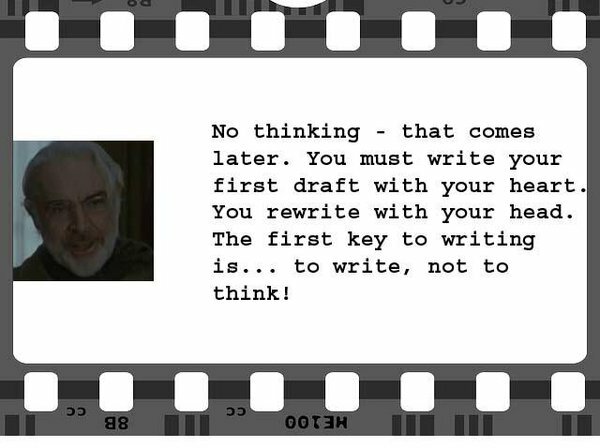 Perhaps you’ll even be inspired to write some words of your own. In the era of inflammatory YouTube comments and Twitter trolls, the world could benefit from heeding these words of wisdom. Sometimes people—both educated and uneducated—say things to get a rise out of their target audience. Being able to rise above the fray is not easy, but it can help prevent you from being dragged down into the mud of a time-wasting debate when it’s clear the other side has no interest in rational discourse. Additionally, if the other side is engaging you in rational discourse, even though you may heartily disagree with their position, the ability to first listen sincerely and intently and then respond calmly and respectfully is a tremendous asset. I could have compiled a separate list of my favorite humorous quotes (and perhaps I still will at some point in the future), but whereas the tone of the quotes on this list is pretty serious, I think it’s important to live a more balanced life. It’s not a good idea to only live for laughs or cheap thrills, but it’s also not healthy to always be serious and contemplative and reflective. It’s important to take a few moments each day to laugh at yourself because we are all flawed in ways big and small, and sometimes we say and do dumb, silly, funny things, often when we are not even trying to do so. OK, so this quote is a little bit self-absorbed, but as a guy who has spent parts of the last few years writing 30 personal lists, I suppose it’s apropos. I don’t know that being selected for the elementary school enrichment program qualifies me as a genius. However, I’ve always had a sense of self-importance and a feeling that my ideas and words would someday impact people beyond the small inner circle of family and friends that I tend to associate with. It’s too early to say for sure that it won’t still happen someday. –Desiderius Erasmus, Dutch Renaissance humanist, Catholic priest/social critic/ teacher/theologian. I don’t have many regrets in life, but one of them is not writing as often as I think I should. I have had periods in my life when I wrote frequently and other times when I went long stretches without writing much at all. I have found this quote to be true. When I write, I find myself desiring to write even more. The hardest part is getting started. As a once and (hopefully) future basketball coach myself, I admire Jackson, nicknamed “The Zen Master” for his psychological approach to coaching. While basketball obviously requires a great deal of athleticism and physical skill, the mental component of the game should not be overlooked, especially when it comes to playing as a team. Team chemistry is an underrated element of basketball, and it is important for youth basketball coaches in particular to encourage young players to buy into the team philosophy rather than their own individual agendas. This quote, which is often attributed to Abraham Lincoln or Mark Twain, has unclear origins, but its message is something I practice on a regular basis. Generally, if I am not informed on a topic, I tend to remain silent, even if I feel emotionally invested in said topic. I’d prefer to do my research first and then say something more fully formed later on. Many people do not abide by these words, especially on social media, where it is so easy to spread your message with a click of a button. Think before you click send. Or if it’s really important, think, sleep on it, think some more, and then click send. It is sometimes easier said than done, but it will save you a lot of potential backlash for publishing words that were probably better left unsaid. There are many quotable lines from The Alchemist, but this quote about resilience and perseverance is my favorite. The message is simple: life will knock you down sometimes, but the secret is not to let it keep you down. It also made for a good premise for a Dwyane Wade Converse commercial. As the head coach at UCLA, John Wooden influenced a number of great basketball players, including Kareem Abdul Jabbar (né Lew Alcindor) and Bill Walton. Nicknamed “The Wizard of Westwood,” Wooden’s words of wisdom continue to leave a mark on coaches, players, and people outside of the basketball world today who follow the model of his Pyramid of Success. People often equate success with money or fame or power or prestige or even just happiness, but I strongly prefer Coach Wooden’s definition. This is a tough one to live out in day-to-day life. There are so many people who need to be set right! Plus, it’s really hard to offer solicited advice and then not be personally invested in the outcome and whether it was taken or not. Likewise, it’s hard not to find faults in others and want to correct them. Even when the desire to set people right comes from a well-intentioned place, I think it’s a dangerous habit to diagnose and fix other people’s problems. If you are asked for advice, I don’t think there is any harm in offering your honest opinion if you feel compelled to do so. However, I also think it is important to understand boundaries and not to overstep them. This is the first of several love-themed quotes that made my list. I like this quote because I believe too many people get distracted or thrown of course by looking for perfect love all of the time. Perfect love is rare indeed because it is all of these things all at once. If you expect someone to be all of these aspects of love all of the time, you are bound to be disappointed in love. In reality, I think love is more often expressed as any number of combinations of these iterations. When someone chooses to love someone they embody some unique formula of these ingredients of love. But because we, as humans, are imperfect beings, rarely are we able to express perfect love. God loves perfectly. However, I believe that we are a reflection of God’s love and are therefore capable of channeling a multitude of different facets of love at any given moment. As an English major and now an English teacher, people often ask me who my favorite author is, anticipating a classic literary answer like William Shakespeare or F. Scott Fitzgerald or even J.K. Rowling. Instead, my answer is sports and pop culture writer Bill Simmons, also known as The Sports Guy. Simmons, who is the founder of the critically acclaimed but now defunct website Grantland as well as the newly launched website The Ringer. I am a glutton for Simmons’ content. I think I have read nearly every column he has ever written since he began at ESPN 2001. Plus, I’ve been a loyal listener to his podcasts since day one. Simmons has a polarizing personality. His cult of fans adore his pioneering fan-turned-expert take on sports, but as with anyone who becomes successful, there is also a significant number of Simmons haters out there who think he is a hack. Oh well, I’m all in on Bill Simmons, and his ability to write lines like this one are a big reason why. I remember reading it and nodding my head all along, thinking to myself, “Yes, I do love basketball. It is my favorite sport. It is one of the few things in life that completely makes sense to me.” Thanks for putting it into words for me, Bill. –Ferris Bueller (Matthew Broderick’s character in Ferris Bueller’s Day Off). There are a number of quotable lines from Ferris Bueller’s Day Off, the highest ranking 80s movie on my list of favorite movies, but this is my personal favorite. This quote only seems to ring more and more true with each passing year, which makes sense since each successive year is a smaller fraction of your life as a whole. Still, nothing makes life seem to move faster than having a child. It’s only been a little over eight months since my son was born, and the time has flown by. I am a strong advocate for the power of the human imagination. As a child, I entertained myself for hours at a time playing out imaginary seasons of the NBA and NFL using nothing more than playing cards and an empty basement. As a teenager, I ran an online roleplay/simulation wrestling league. In college, one of my English major concentrations was in creative writing. It is easy to get bogged down by the monotony of day-to-day life sometimes. Reality is harsh sometimes, and sometimes, sure, it’s necessary to face that harsh reality head on. However, sometimes I think the best way to deal with reality is to escape it for a bit. That is why I believe it is important to exercise not just your body but your imagination as well. As a society, we could do much better when it comes to equipping our young people to become productive members of society. Investing in schools and teachers is investing in the future. Without a quality education, children of lesser means have little to no chance of a better life and children of greater means have little to no chance of recognizing their privilege and learning how to give back in ways that benefit society and not just themselves. Of course, it’s important to make the distinction between going to school and receiving an education. Ideally they would go hand in hand, but unfortunately it is not always the case. There isn’t one simple solution to improve the education system in our country, but prioritizing education at a national, local, and personal/family level would be a great place to start. –Cory Matthews (Ben Savage’s character in Boy Meets World). Cory Matthews was one of my favorite characters on TV when I was growing up. He was meeting the world a few years ahead of me, so he was like an older brother and a role model. Cory and Topanga were probably the first “it” couple for me, and I often likened me and Jessie to Cory and Topanga. I grew to understand that real life and real love differ from the Hollywood versions and that “meant to be” is actually about two people making the same intentional choice to love. Of course, that doesn’t prevent me from getting a little misty when Cory gets all romantic and sentimental. And I don’t think it’s wrong to be inspired by Hollywood love as long as you can keep it in perspective and not allow it to create unfair expectations for real life. The good news is that both Cory and Topanga and Jessie and I remain married. That’s right, the Boy Meets World characters recently got a reboot on the Disney Channel spinoff/sequel series Girl Meets World. Not only are Cory and Topanga married with two kids, but Cory even grew up to become a teacher like me! One of the toughest things for me to express in writing is an answer to the question, “Why do you love sports so much?” Simmons’ words here is one of the best responses I have read. I don’t know if any words can really encompass all that I feel, but this quote is close. I first heard a secularized version of this quote in the movie Coach Carter, but after researching the origins of the quote, I like this original version even better. It’s easy to misinterpret what this quote about. It is not about trumpeting yourself or being boastful about your gifts—brilliant, gorgeous, talented, fabulous, etc.—but rather it is about being proud of your gifts and using them for good. I know that I am sometimes guilty of not living out this quote. I do, in fact, shy away from saying and doing things at times because I fear I will make others feel insecure or nervous or uncomfortable. Although sometimes I do not use my God given talents to the best of my ability, this quote is a helpful reminder to me to be my best self. I like the juxtaposition of these two ideas. The first part of the quote evokes the famous Latin phrase and my alma mater Mercyhurst University’s motto “carpe diem” (seize the day). However, adding in the second line, Gandhi emphasizes the importance of learning. I am all about instilling a value of lifelong learning into my students, and I think that is a big reason why this quote sticks with me. Basically this quote means you should embrace change because, let’s face it, you aren’t the wisest person in the world, and you certainly don’t want to be the stupidest person. Therefore, be open-minded. Listen to varying perspectives. And don’t be afraid to change your mind about something if you have been presented with new facts or information or arguments that prove your former opinion was misguided or downright wrong. If you change your mind for no good reason, you may acquire a negative stigma as an indecisive, wishy-washy, flip-flopper, and that’s not good. However, changing your mind for a good reason likely means you’re intelligent, flexible, and reasonable, which is very good. This quote is self-explanatory, but it reflects my belief in the power of teachers. I know for certain that I meet the qualifications to be considered a mediocre and a good teacher. I believe I often even meet the qualification to be considered a superior teacher. In regards to being a great teacher who inspires, well, my students would have to be the ones to assess that. Hopefully at least some of them would agree that I meet that qualification as well. Whether it is true or not, that will continue to be my aspiration. I am a strong believer in the power of positivity, although that was not always the case. I had a case of teenage angst that caused me to see the world through lenses of cynicism and negativity. Thankfully, these days I have a much more optimistic, positive approach to life. I think breaking that cycle of negativity has done me a lot of good. I still relapse from time to time and become a version of myself that is not pleasant—whiney, complaining about trivial things—but I try to catch myself before I get too far into a downward spiral. Yes, of course there is some oversimplification at work in this quote. Some things require more than positive thinking and belief in self alone. Still, having a positive attitude and confidence is a great place to start. There is no shortage of powerful MLK quotes to choose from. I especially like this quote because it emphasizes what I believe is the right way to combat negativity and hatred and that is with positivity and love. It frustrates me when people resort to negative tactics to advance their agenda. We need to be better at building up and less focused on tearing others down to get what we want. 8. “If I speak in the tongues[a] of men or of angels, but do not have love, I am only a resounding gong or a clanging cymbal. If I have the gift of prophecy and can fathom all mysteries and all knowledge, and if I have a faith that can move mountains, but do not have love, I am nothing. If I give all I possess to the poor and give over my body to hardship that I may boast, but do not have love, I gain nothing. 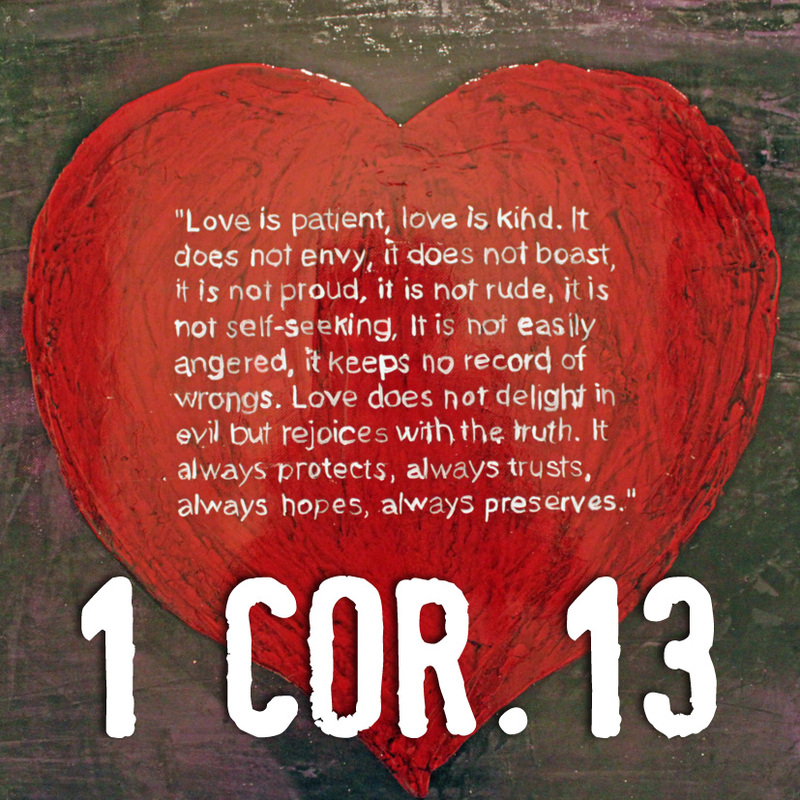 The longest quotation on my list is the lone Bible verse that I included, which is all of 1 Corinthians 13. This is one of the most popular Bible verses and is often read at weddings. Why is it so widely chosen? I think the answer lies in the hearts of everyone. A priest friend of mine once told me that the answer to the question, “What is the meaning of life?” is “love and relationships.” If that is true, and I think this Bible verse echoes that notion, then it becomes essential that we really take some time to think about love in our lives, what love is, and what it really means to love others. Those middle lines, starting with “Love is patient” really gets to the core of how powerful and all-encompassing true love really is. Understanding how important and powerful love is further emphasizes the commitment that is being made when making your wedding vows, promising to love and honor someone all the days of your life . As an educator, I cannot endorse this statement any stronger. Sometimes it is tempting, especially when discussing current events or politics to want to preach at my students and get them to think and believe what I think and believe. However, that is not my place as a teacher nor is it effective teaching. 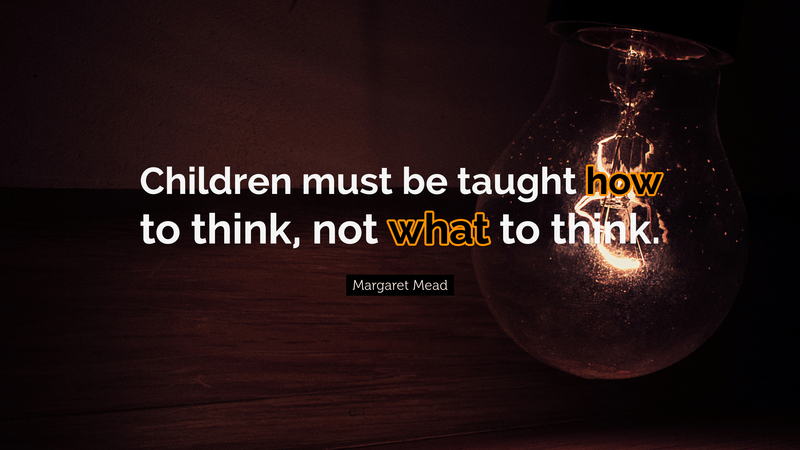 Instead, I always try to keep this maxim in mind and teach my students how to think rather than what to think. That is a critical distinction. By educating my students on how to vet sources, how to understand an argument using the rhetorical triangle, how to identify and evaluate the use of logos, ethos, and pathos, how to refrain from using logical fallacies, and how to avoid unfair logical appeals, I equip them with the tools necessary to engage in civil discourse, which will make the world a much better place than if they simply parroted my thoughts and ideas because I said my ideas and beliefs were always right. I have already written at length about my love of Counting Crows, particularly the lyrics of lead singer and songwriter Adam Duritz. I easily could have compiled a list of my 30 favorite Counting Crows lyrics, but I wanted a more diverse list, so this was the top lyric that I chose to include. Taken from the band’s 1996 sophomore album Recovering the Satellites, “A Long December” was the song that got me hooked on Counting Crows when I listened to it in the early 2000s. I was a sentimental, philosophical teenager who spent a lot of time listening to musical and quietly contemplating life. I’ve also always had a thing for nostalgia. I don’t do drugs, but I have something of a nostalgia addiction, always trying to hold on to special memories and moments. Heck, my entire 30 at 30 project has some basis in this quote as these lists document myself and my preferences at a moment in time that ultimately cannot be held onto no matter how hard I try. The second quote from Boy Meets World to make my list comes from the show’s conscience, Mr. Feeny, the ever-present teacher who helped Cory, Shawn, Topanga, and Eric as they navigated the treacherous world of adolescence from middle school to high school and even college. Feeny’s quote, from the last scene of the series finale, is followed by Topanga chiming in to correct her mentor. “Don’t you mean ‘do well’?” she says. “No, I mean do good,” Feeny replies. It’s a simple, heartfelt message from teacher to pupils, and it hits me right in the feels every time I watch it. 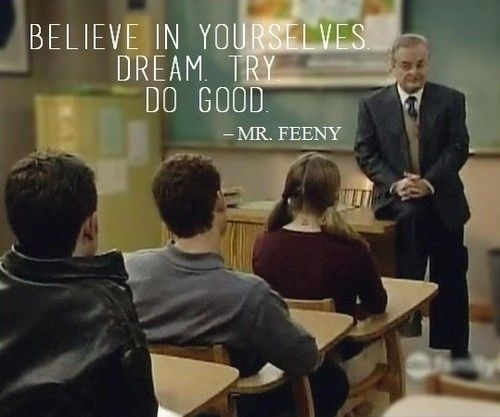 Mr. Feeny is the teacher every student deserves to have, and while I know it’s a TV show and all, I hope I can impart wisdom and impact students the way Feeny did with Cory, Shawn, Topanga, and yes, even Eric. This lyric from Semisonic’s 1998 hit “Closing Time” is also sometimes attributed to the Roman philosopher Seneca. Regardless of where it originated, when I first heard the line, it struck a chord to the point where I made it the theme of my senior project in high school. A lot has changed in my life since then, but my appreciation for this quote and what it represents has not wavered. I also wrote about the song’s importance to me then and now as part of my favorite songs list. Valvano’s ESPY speech, embedded below, runs a little over 11 minutes. I watch it at least once every year. If you haven’t watched it lately, I highly recommend carving 11 minutes out of your day to watch it. 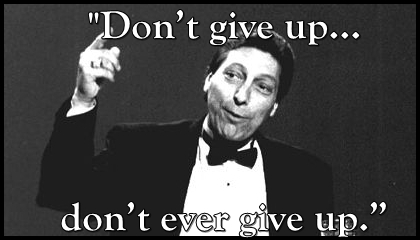 Valvano’s speech shows the power of words. More than 20 years later, his message continues to resonate with people like me. A couple weeks ago, I watched the 2016 ESPY Awards. I usually don’t get particularly excited for awards shows, but this year’s ESPY Awards covered all of the bases. The show’s host John Cena made me laugh with his opening monologue comparing real sports to WWE’s brand of sports entertainment. NBA superstars Carmelo Anthony, Chris Paul, Dwyane Wade, and LeBron James made me think with their opening statement calling athletes to be leaders and agents for change outside the lines of play. Zenobia Dobson made me cry as she accepted the Arthur Ashe Courage Award on behalf of her son Zaevion who was tragically shot to death at age 15 while shielding his friends from gunfire. And Craig Sager, recipient of the 2016 Jim Valvano Award for Perseverance, made me do all three—laugh, think, and cry—in his excellent ESPY night speech, which he gave only months after learning that his leukemia had returned. Sometimes it’s hard to explain to people why I love sports so much. Yes, my emotions rise and fall with the successes and failures of my favorite teams. But ultimately my passion for sports is about so much more more than wins and losses. It’s about moments and people and courage and perseverance. Sports have the power to transcend what happens on the court or on the field. This year’s ESPY Awards tapped into some of that power the same way Valvano did in 1993. The spirit of Jimmy V lives on. So what memorable words did I forget? Leave your favorite quote in the comments below. another great addition to the series. I may have read this one more thoroughly than some of the others because they all resonated as quotes that define you. Awesome job.